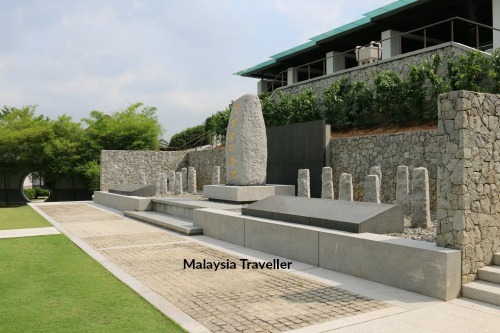 The 9-1 Martyrs Memorial is a little known monument located at Xiao En Memorial Park, also known as Nilai Memorial Park, just off the PLUS Highway near Nilai in Negeri Sembilan. 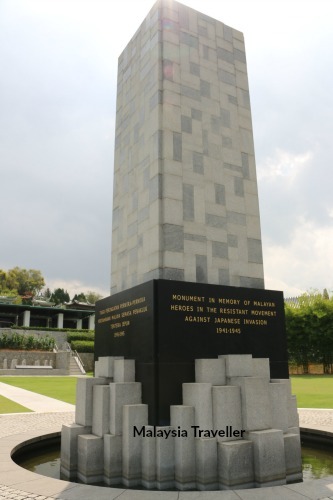 It commemorates the deaths of 18 Malayan People’s Anti-Japanese Army (MPAJA) resistance members during World War Two. After the Japanese swept the British out of Malaya in 1941/42, the only significant resistance to the Japanese occupation came from the MPAJA which was formed by the Communist Party of Malaya (CPM). On 1 September 1942 a clandestine meeting of MPAJA’s senior leaders was being held near Batu Caves when it was ambushed by a Japanese army battalion. Eighteen of the guerrillas were captured and beheaded. It is thought that the meeting had been betrayed to the Japanese by Lai Teck, a shadowy character who was believed to have spied for the French in Vietnam and later was recruited by the British to infiltrate the CPM which he did successfully, working his way up to Secretary-General. After Lai Teck became suspected of collaborating with the Japanese he fled but was tracked down in Bangkok in 1947, strangled to death and his body tossed into the Chao Phraya River. At the end of the War, after the surrender of the Japanese, MPAJA were honoured as heroes by the returning British and the guerrillas took part in the Victory Parade in Kuala Lumpur and many of its members received medals from the British. A monument to the 18 fallen leaders was unveiled at Sungai Tua, Batu Caves on 1 September 1946. However relations between the British and CPM soon deteriorated when their guerrillas refused to give up their weapons and disband and by 1948 they had turned their guns on the British and the Malayan Government, triggering the Malayan Emergency during which the former guerrillas were branded as Communist Terrorists. The Emergency continued until well after Independence with the CPM finally laying down its arms in 1989. In 2002 the monument at Sungai Tua was dismantled and the graves unearthed as the site had been earmarked for redevelopment. 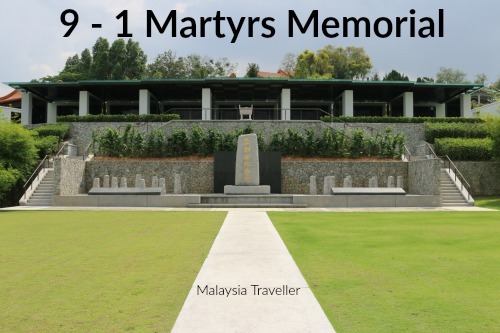 In fact no human remains were found so handfuls of earth were placed in urns instead and driven in hearses to Nilai Memorial Park where a new site had been found to bury the urns and erect the 9-1 Martys Memorial. 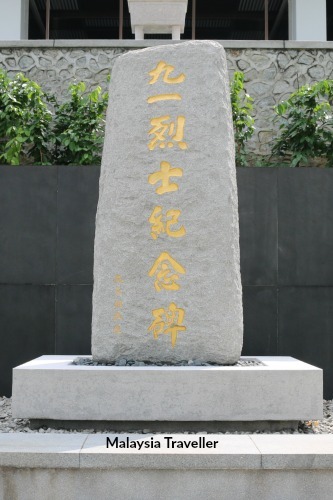 The memorial consists of a large granite pillar with the name of the memorial carved in gold Chinese characters together with 18 smaller granite columns representing the martyrs. Smooth black marble slabs have been erected as if waiting to be inscribed with the names of the heroes and an explanation of what happened to these men. They remain blank for now. Facing the 9-1 Martyrs Memorial is another monument (above) inscribed ‘Monument In Memory Of Malayan Heroes In The Resistant [sic] Movement Against Japanese Invasion 1941-1945’. 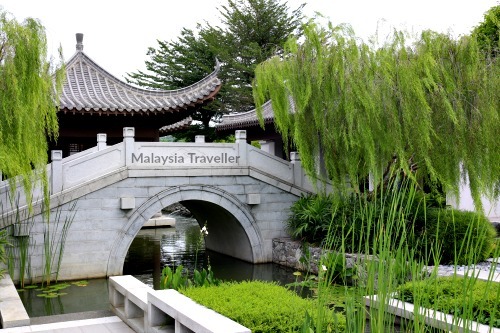 This inscription is written in English, Bahasa and Tamil (and Japanese) and the monument is perhaps designed to recognise that all Malaysian races played a role in resisting the Japanese, not just the Chinese. Of course, World War Two was a long time ago and Japan and Malaysia have been friends and trading partners for many decades. While remembering the heroism of Malaysians during the War there is no desire to create any ill-feeling against modern day Japan. For this reason the area containing the two memorials is called the Peace Memorial Garden and not the War Memorial Garden. I have marked the exact location of the memorial on this map. 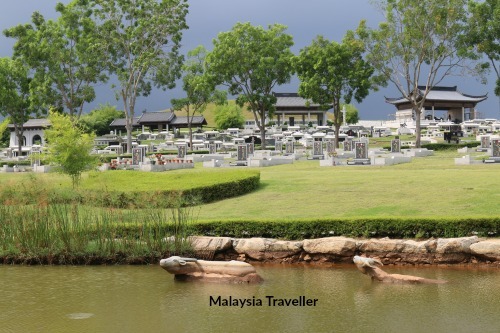 While you are here have a look round this beautifully landscaped cemetery.